ຕໍາຫລວດໄທ ຢືນຢູ່ຂ້າງຄອກສັດປ່າ ທີ່ທາງການຍຶດມາໄດ້ ຈາກພວກລັກລອບຄ້າສັດປ່າ ໃນການບຸກເຂົ້າກວດຄົ້ນ ຢູ່ບາງກອກ ເມື່ອວັນທີ 10 ມິຖຸນາ ຊຶ່ງເຈົ້າໜ້າທີ່ຍຶດສັດປ່າ ໄດ້ຫລາຍກ່ວາ 1.000 ໂຕ. 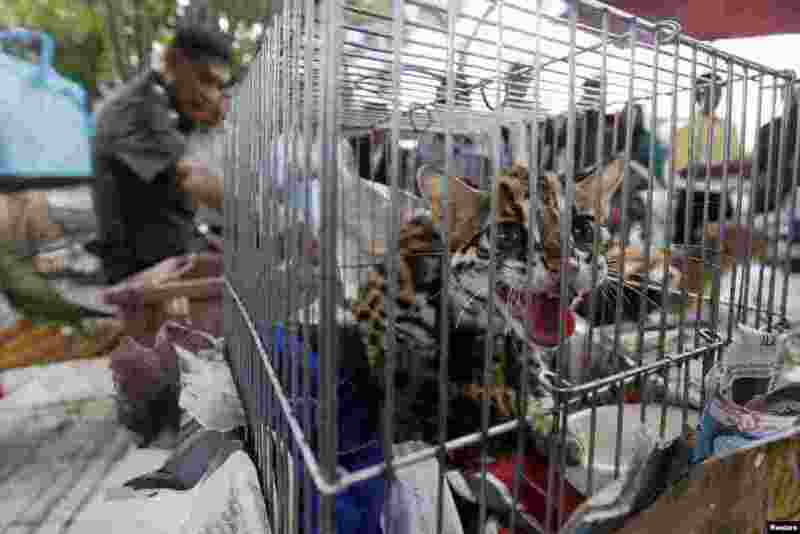 1 A police officer stands among caged animals during a raid on the outskirts of Bangkok, Thailand. Thai police said they confiscated more than 1,000 wild animals, including almost 1,000 sugar gliders, 14 white lions, 12 peacocks, 17 marmosets and many other wild animals. 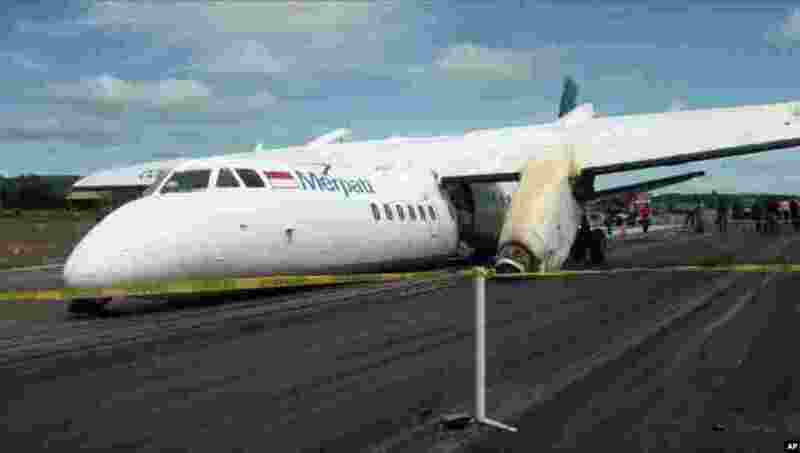 2 The wreckage of a Chinese-made Xian MA60 twin turboprop aircraft operated by state-run Merpati Nusantara Airlines lies on the runway after it landed hard, slamming both engines onto the runway at El Tari airport in Kupang, East Nusa Tenggara, Indonesia. 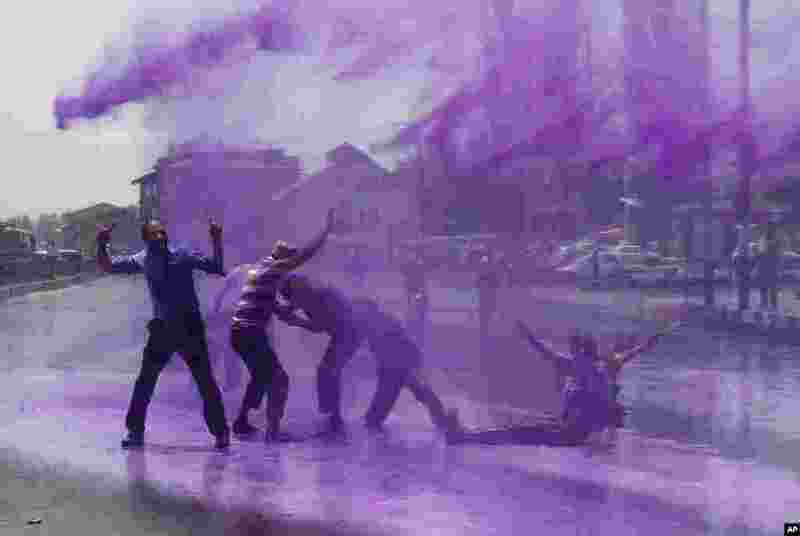 3 Police use colored water from a water cannon to disperse state government workers during a protest in Srinagar, India. The workers demanded regularization of contractual jobs and hike in salary. 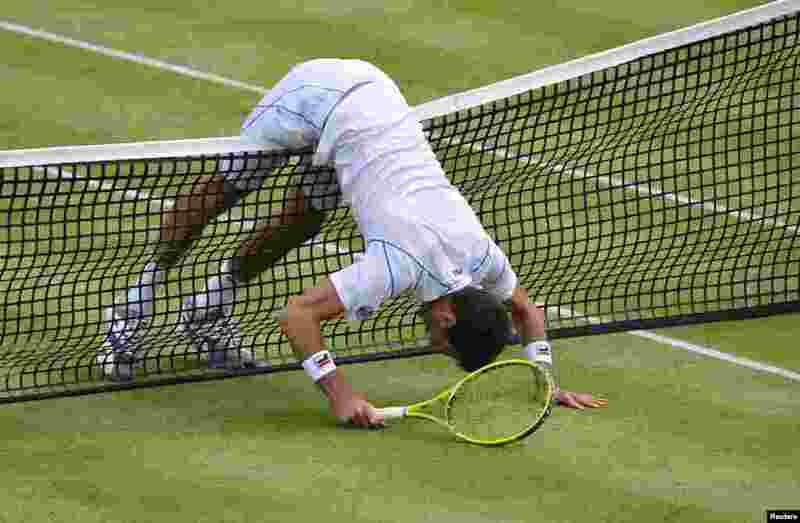 4 Britain's James Ward collides into the net during his tennis match against Croatia's Ivan Dodig at the Queen's Club Championships in west London.